Operator is introduced with Nullable datatype inclusion in .NET Framework operator ?? can also be referred in words like 'In case of null, pick value from another'. It defines that, in case b is null, pick the value false. That will check b first if b is undefined or null, then it will move further to check for c if that also has null then it will set false to a. Apart from that He Loves multimedia work too, Master of Adobe photoshop, Illustrator, CSS , HTML and all things. 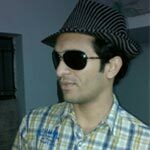 He is Currently working in Microsoft Dynamics CRM and Having Nice Expearince with CRM. CRM Rocks!!! So the tip's subject is good but context is little bit poor. Using HasValue can be a good option instead of null-coalescing operator. But Again use of both depends on the situation. For instance, Say if you want to assign a some default value while object have null value. It can be useful. HasValue Can no doubt be useful as you said and it's perfect to use for example you provided. My vote of 5 is to cancel out the vote of 1 from the person that clearly didn't read the article. Good tip - short and straight to the point. Well done. Not work in value assign. Can you please brief your code what all are you doing in assign ? int val = oval;//this line gives error. You are casting from nullable type to non-nullable type. Either way you aren't using ?? operator. and casted a blind 1 vote on my TIP. Anyway, Here comes my TIP useful to you, Try with this. In that case I would request you to revise your vote. Hi Hiren solanki, I already revise my vote. Content of your reply is too poor to justify my TIP. I would like to know your suggestion on what additionally I can write on ?? operator, Doesn't this enough to get you understand the whole idea behind ?? operator ? or you want to go beyond the code and want to know the operation takes place at compiler, and assembly level ? BTW it's a TIP not an article. The vote of 1 is a bit too low, but I somehow understand why a lower vote is given. You not even give the proper name to that operator: it's the Null Coalescing (Wikipedia)[^] operator. IMHO, the given example is kind of poorly chosen: nullable value types are useful for database type map - otherwise I consider them as a code smell. The ?? operator is everywhere usable where you have an instance of a reference type (including nullable value types) that may evaluate to null. Finally, a good tip provides references to say where to go from here, e.g. Thanks Andi for your valuable input. I created this TIP 1.5 year ago in CP. Today After 1.5 year I just updated a single type from 'boll' to 'bool'. I think my typo modification is worth at this time getting good amount of knowledge from you. I have a certain hesitation to use nullable basic value types. I think a more realistic szanario of the ?? operator is with Linq queries, e.g., ...FirstOrDefault() ?? myDefault. And in the same go, the default(T) operator could have been mentioned. That's another construct that is relatively little known. The default(T) comes into play with that particular Linq function FirstOrDefault(...). Good to remind people about (new) languages features. Completly forgot about this operator. Thanks for reminding me I will definetly uses so as not to forget it again. Are you gonna now describe other operators as well? @SAKryukov : I am sorry,I didn't get what you're trying to convey, please elucidate it.